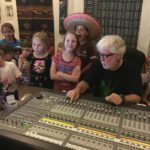 Exciting news from the Confetti Park workshop! 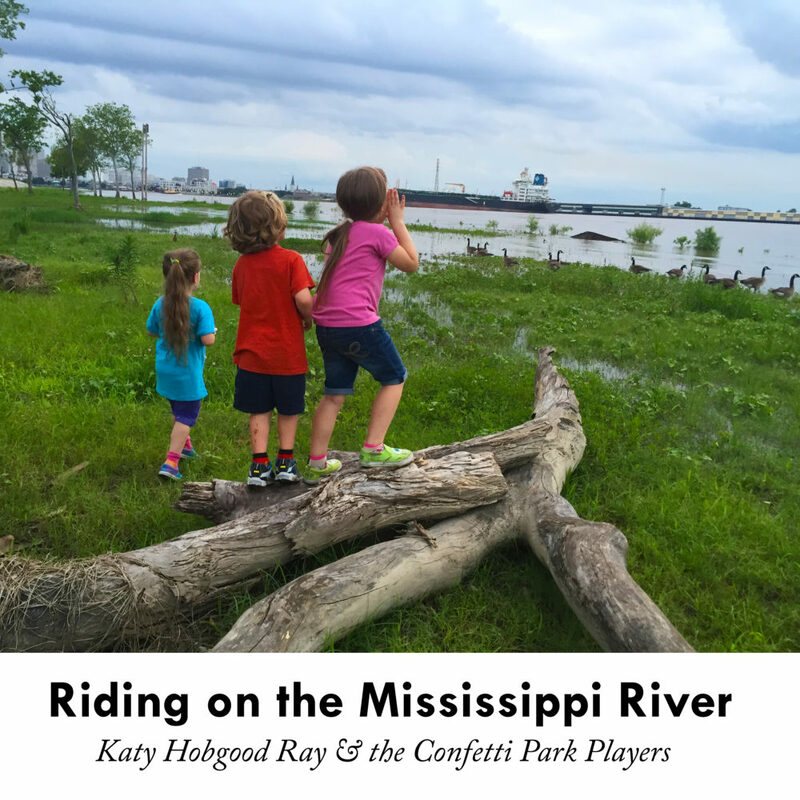 The Confetti Park Players have just released their brand new single, “Riding on the Mississippi River.” The track is available on iTunes, Amazon, CD Baby, Google Play, and other digital music services. 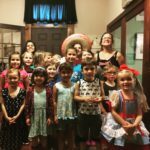 The song is performed by Katy Hobgood Ray and the Confetti Park Players children’s chorus. 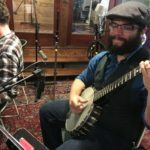 Musicians include: Jim Thornton, trumpet; Owen Callahan, clarinet; David Phy, trombone; Tim Stambaugh, tuba; Brandon Brunious; banjo; and Cale Pellick, drums. 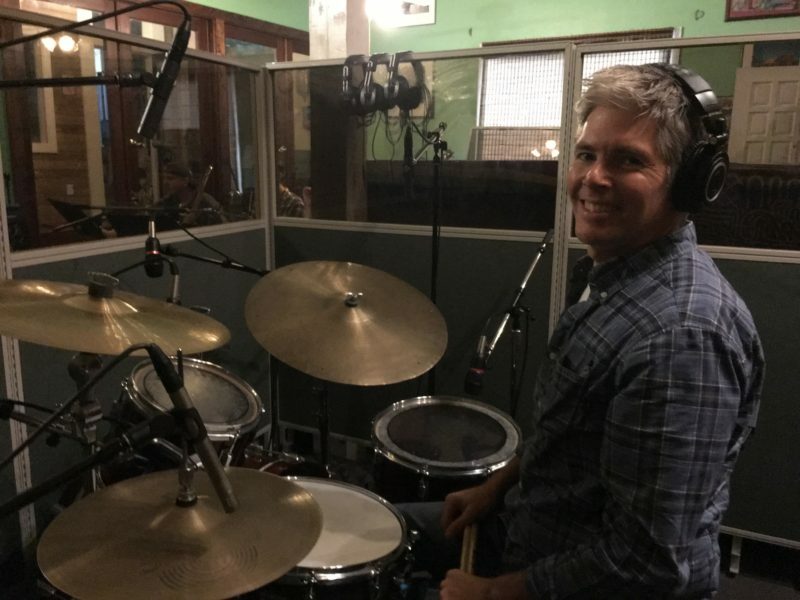 It was recorded at Word of Mouth Recording Studio, Algiers Point in New Orleans, Louisiana. 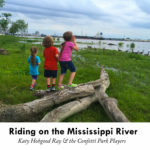 “Let’s Go Riding on the Mississippi River” was written by Ted Lindsay, from Mooringsport, Louisiana, who was inspired to write the song when visiting Katy and her family in Algiers Point in New Orleans. 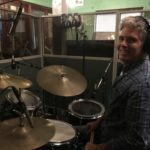 Ted was a principal songwriter on We’re Going to Confetti Park!, the first full-length album from the Confetti Park Players and winner of a Parents’ Choice Award. down the middle of the USA! Confetti Park Players Luna, Louis, and Lily call out to a freighter on the Mississippi River in Algiers Point. 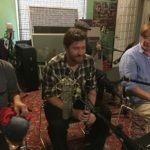 Katy leads a fun mashup of a kids choir and fabulous, well-established adult New Orleans musicians. 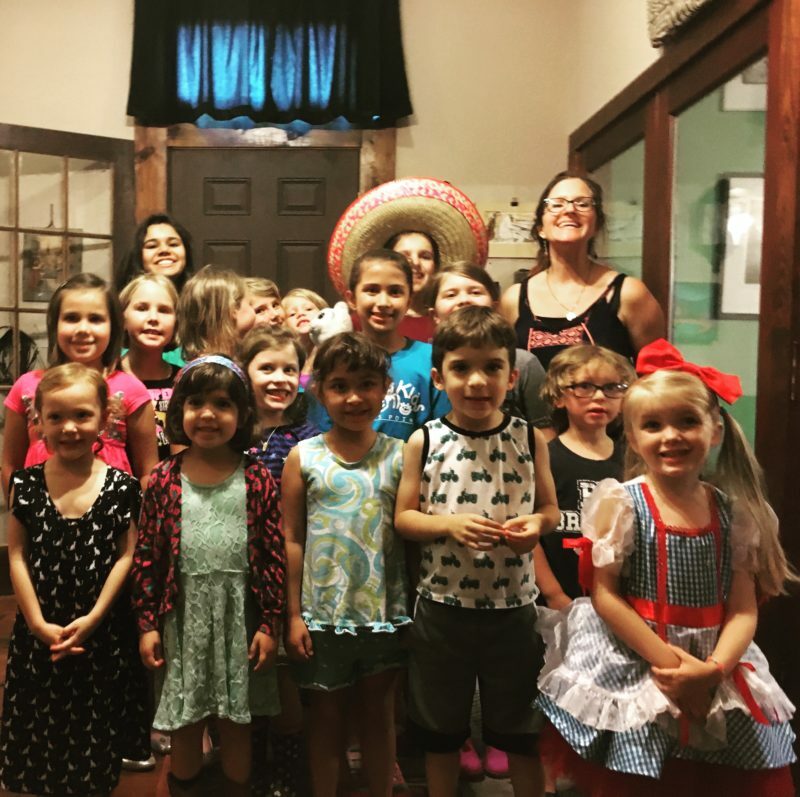 They perform catchy originals and familiar folk songs, jump rope jingles and clapping chants, and a few rock ‘n roll surprises. 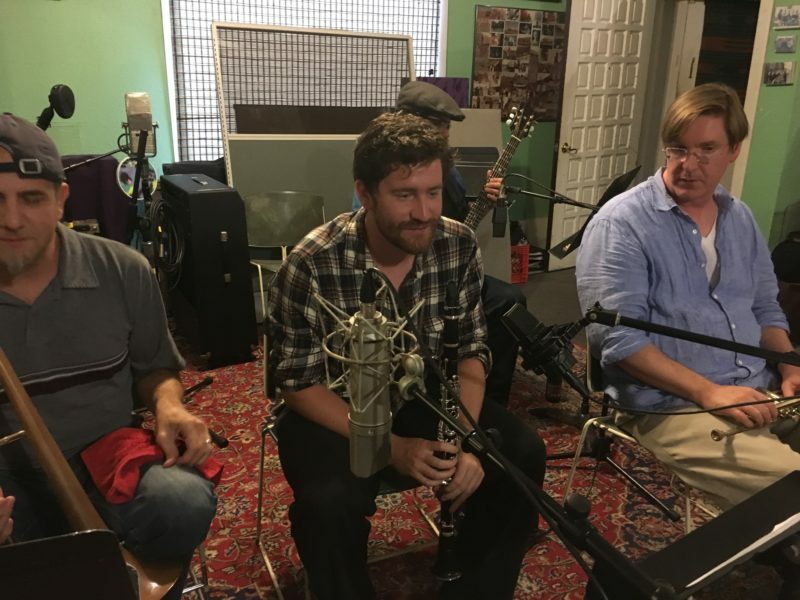 The Confetti Park Players have collaborated with such musical talents as world-renowned jazz drummer Johnny Vidacovich, flutist Patti Adams of the Louisiana Philharmonic Orchestra, internationally lauded clarinetist Evan Christopher, Lincoln Center-affiliated jazz trumpeter Jon-Erik Kellso, Dirty Dozen Brass Band saxophonist Roger Lewis, beloved New Orleans piano players Tom McDermott and AJ Loria. 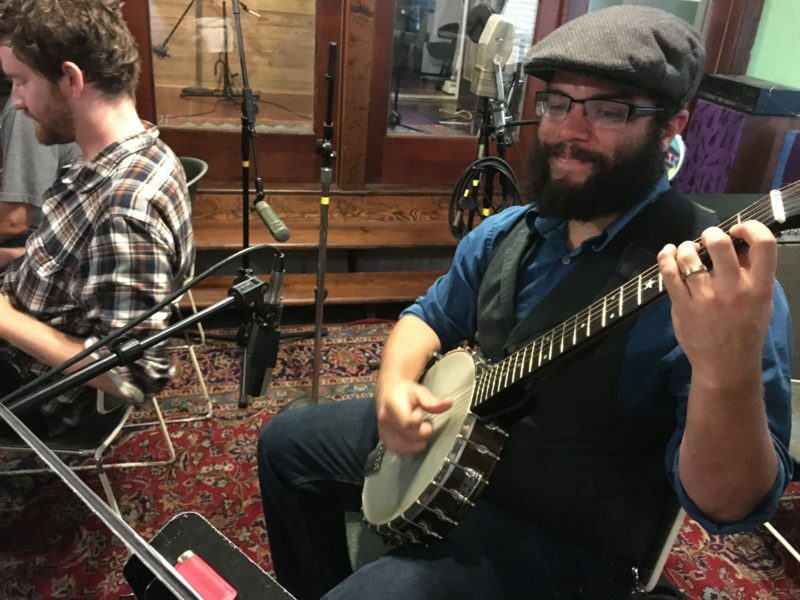 They’ve performed at the New Orleans Jazz & Heritage Festival, French Quarter Fest, the Folk Art Fest, Mid-City Bayou Boogaloo, Beignet Fest, Creole Tomato Fest, Fête Française, and numerous venues around New Orleans. 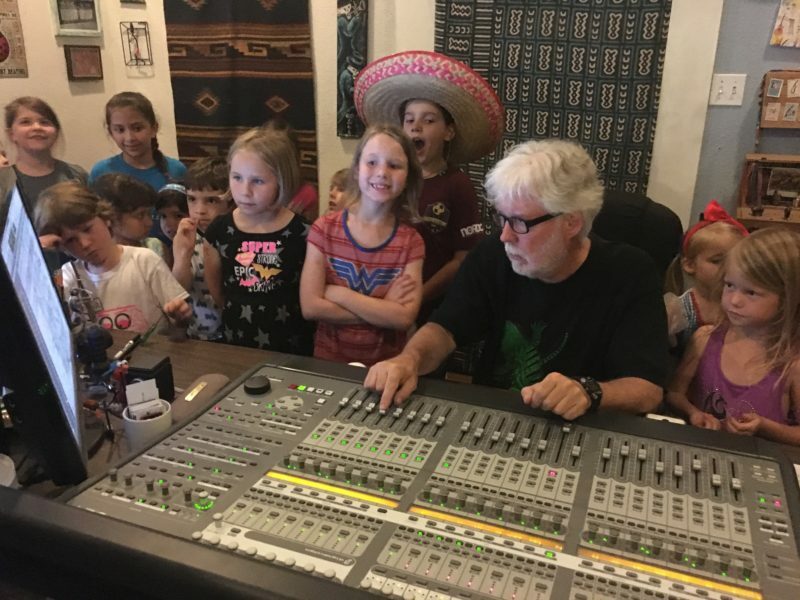 They are regularly featured on the Confetti Park radio program.